Sunday 15th September is celebrated officially as the climax of the Battle of Britain, when London had become the Luftwaffe's main target. However post-war studies of British and German records have shown that the hardest fought day of the Battle was Sunday 18th August. On this day the Luftwaffe tried its utmost to destroy our fighter airfields flying 850 sorties involving 2200 aircrew. The RAF resisted with equal vigour flying 927 sorties involving 600 aircrew. Between lunchtime and teatime, three big Luftwaffe raids were attempted, the first and third by mixed groups of Dornier Do 17, Junkers Ju 88 and Heinkel He 111 bombers, escorted by Messerschmitt Bf 109 and B 110 fighters, and a second by Junkers Ju 87 Stuka dive-bombers, also escorted by Bf 109s. The targets were the airfields at Kenley, Biggin Hill, Gosport, Ford, Thorney Island, Hornchurch and North Weald, and the radar station at Poling. Although the last wave failed to reach its targets, which were obscured by cloud, the fighting was no less fierce along the route. The RAF and Fleet Air Arm lost altogether 68 aircraft, 31 in air combat. 69 German aircraft were destroyed or damaged beyond repair. 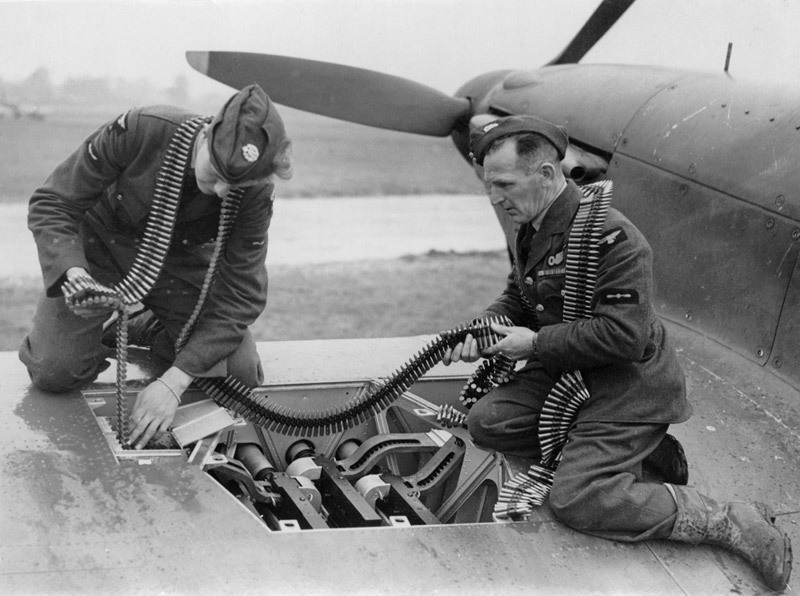 It was vital to re-arm and refuel the British fighters as quickly as possible as their pilots might be called on to fly several sorties each day. 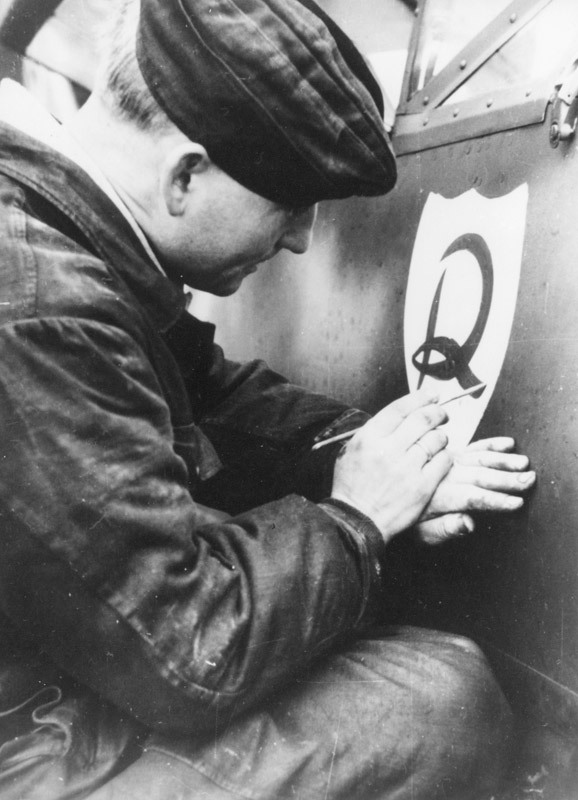 No 504 Squadron had been mauled by the Luftwaffe in the Battle of France and when it returned to the United Kingdom it was sent to Wick in Scotland to rebuild its operational strength where this photograph was taken. From the 5 September the unit was based at the RAF Museum London. The armourer on the right is of interest not only for the ribbon bar he wears but also the Observer badge - an 'Old Sweat' from an earlier war. The Germans had high hopes for the twin-engined Messerschmitt Bf110 but it proved inferior to both the British Hurricane and the Spitfire. I Gruppe/ZG 26 lost six of their aircraft on this day 18th August 1940. 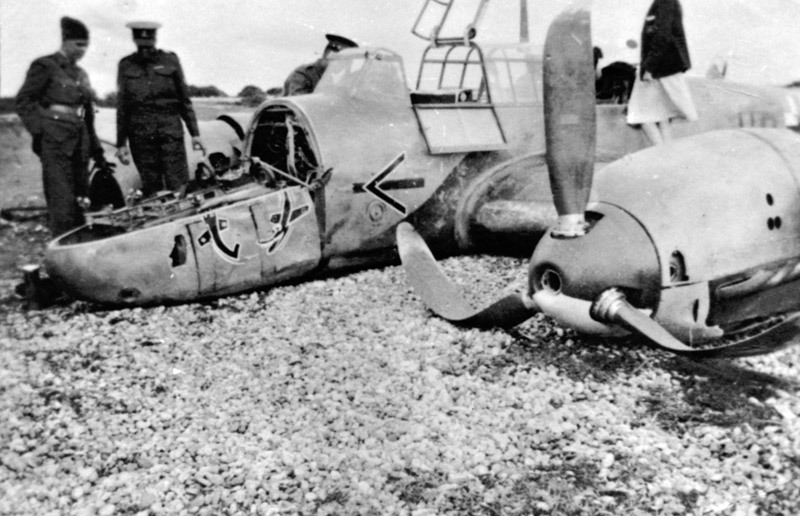 Southern England was littered with Luftwaffe wrecks. 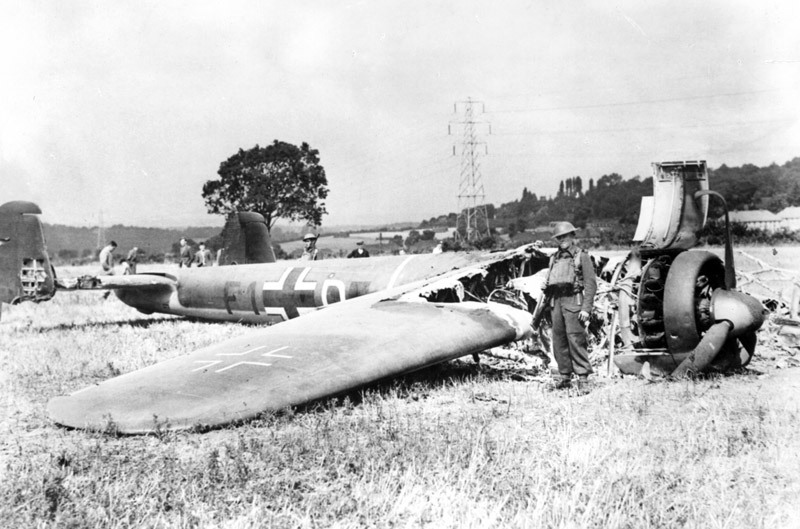 This Dornier Do 17 of 9/KG76 was shot down on 18 August by Hurricanes of 111 Squadron and it crashed at Leaves Green near Biggin Hill in Kent. 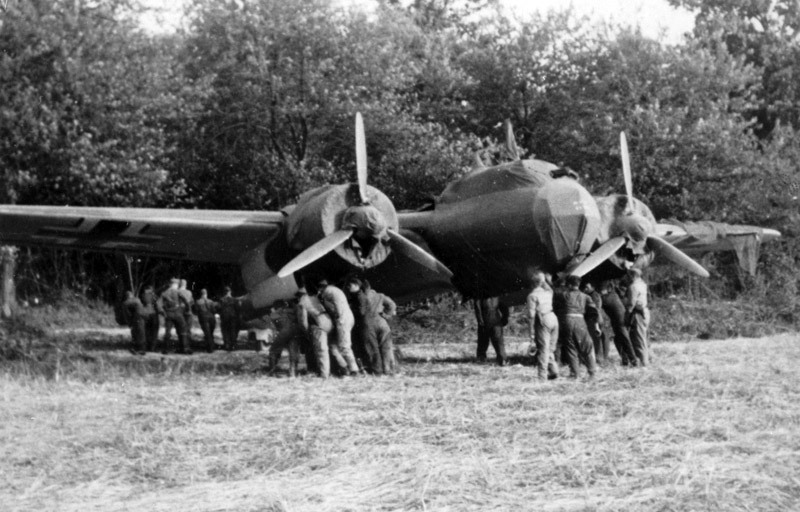 A Dornier 17Z of 9th Staffel/Kampfgeschwader 76 is manhandled back into its dispersal point at Cormeilles-en-Vexin. Nine Dorniers from this unit had been involved in a low level attack on RAF Kenley on the 18th August and had suffered heavy casualties; four had been destroyed, two seriously damaged and the rest had suffered minor damage. At the end of the day of the forty men who had set out eight had been killed, five taken prisoner, three returned wounded and seven were floating in the English Channel. The Luftwaffe was bleeding to death.